We bought Hello Baby by Jenni Overend and Julie Vivas when I was pregnant with Derin. I was looking for a book for preparing Defne about the birth and the new baby. This book was highly recommended on a few natural parenting forums. It tells the story of a home-birth through the eyes of the youngest child in the family. The illustrations are gorgeous, gentle and honest. 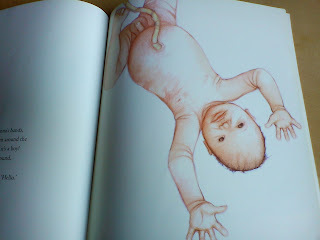 I didn't choose to have a home birth but I am still very happy with the choice of this book. 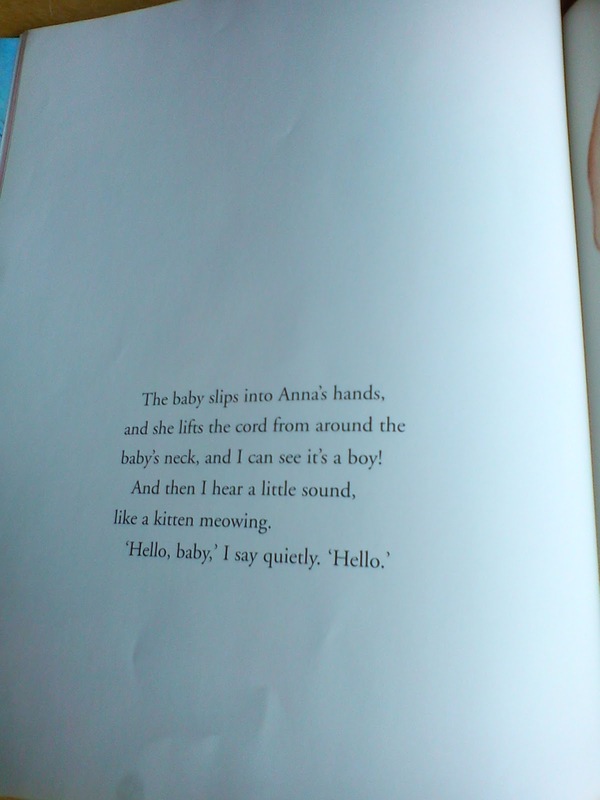 My daughter learnt a lot about birth and wants to read it again from time to time. Head on over to Canadian Home Learning to view which books were shared by the other participants. Even if you aren't doing the home birth having age appropriate resources available allows you to share what you want to share with your children. I think it makes it easier for parents to prepare children, especially those who are going to have children present either at home or in a birthing center. 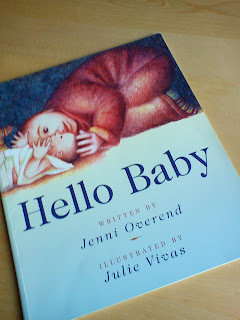 We have this one too - I was hoping for a home birth with no.2 (didn't happen in the end) and got it to read to no. 1 - we all loved it. 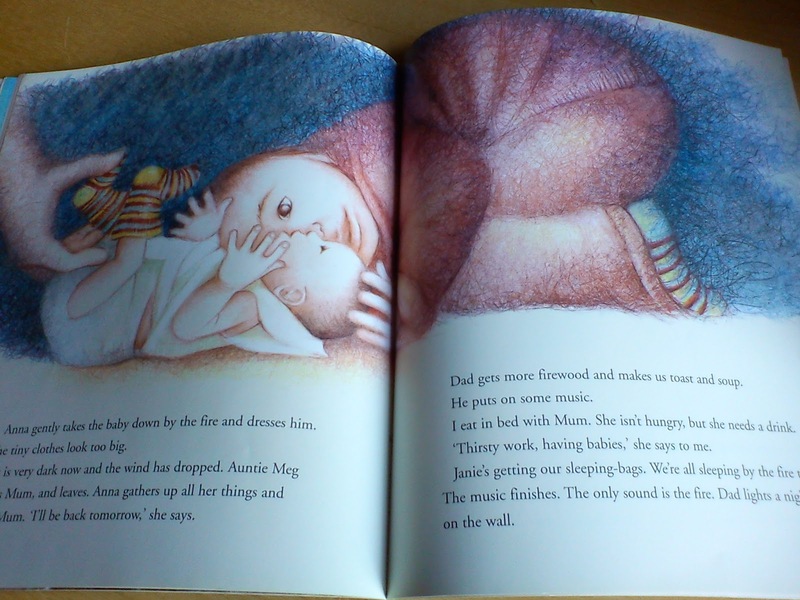 Ormerod's illustrations are perfect. She's done lots of lovely books about babies and families. Zoe, I haven't come across her books,will check them out.Thanks! this is such a lovely book and helped us prepare our then 2 year old for our home birth, along with another nice one called 'our water baby'. i read a review on amazon that said they were shocked by the graphic picture in this book and had to shut it quickly so their child would not see! i think it's a shame to hide nature from children in this way! in the end i had my home birth in a pool and my daughter watched perched on the stairs with her auntie. she was thrilled to bits and not at all phased.